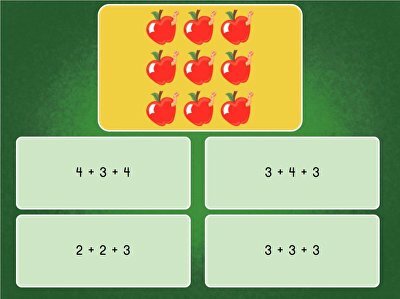 Once addition and subtraction are in the bag, kick the math fun up a notch with these multiplication games! 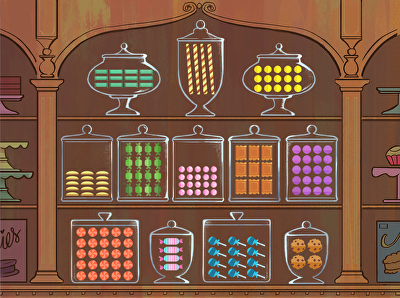 Memorizing math facts doesn't have to be boring and repetitive—kids can dive into the ocean, ski down a mountain, or take a trip to the candy shop in our wide collection of creative, engaging games will take the chore out of learning multiplication. 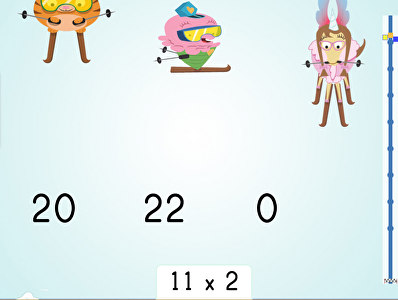 Help your child multiply by 9 with this interactive multiplication matching game! 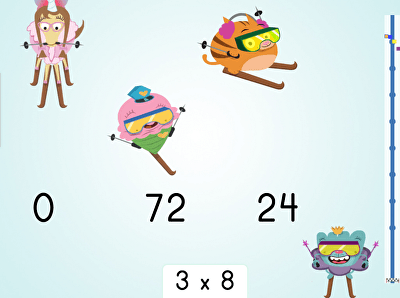 Your child will be a multiplication master in no time. 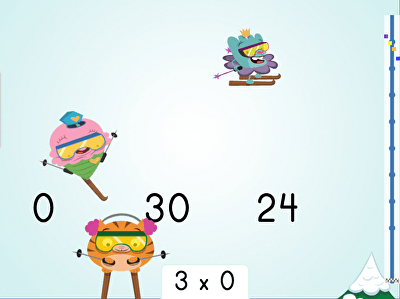 Let's ski down that hill! 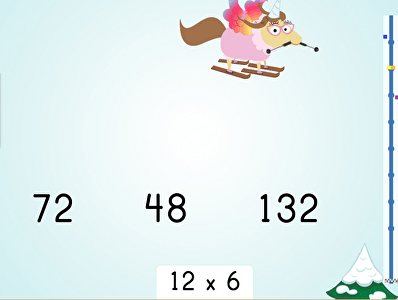 Multiply by 7 to get your racer to the bottom of the hill faster than anyone else! 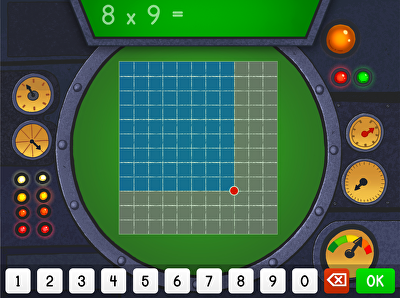 Kids make small arrays to help Muggo's ship get back on course, building multiplication skills along the way. 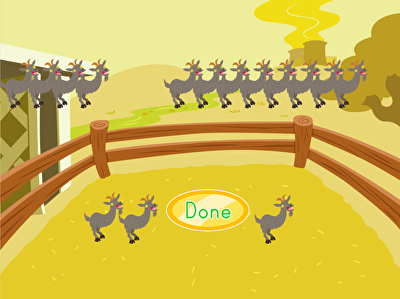 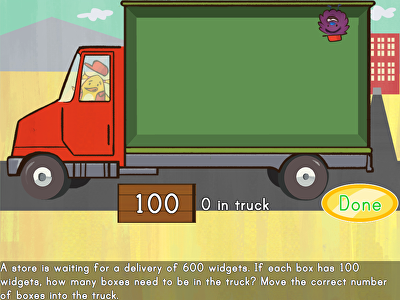 Kids help Birdee move cargo and solve multiplication by 100 in this manipulatives math game. 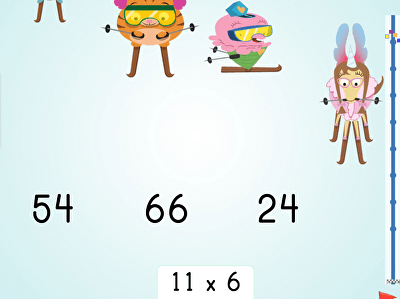 Find the products of the 8's fact family with this ski racer game. 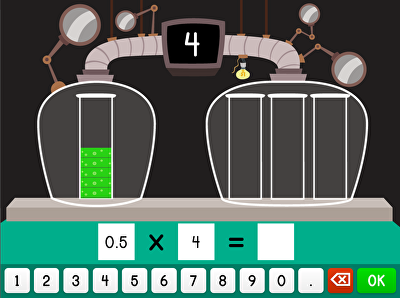 Help your child love math with our digital learning games! 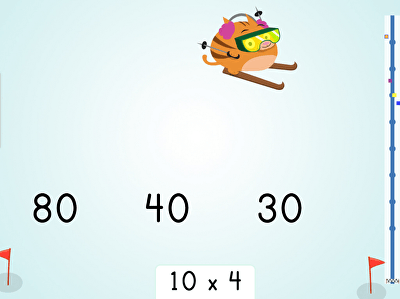 Multiply by 6 in this multiplication quiz and watch his mastery grow. 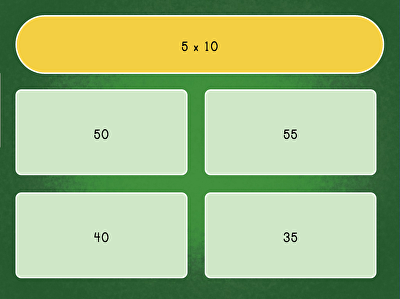 Match products to their equations with this multiply by 6 matching game. 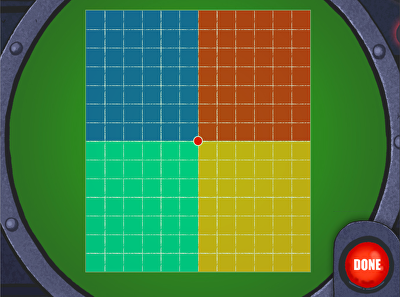 Is there a pattern? 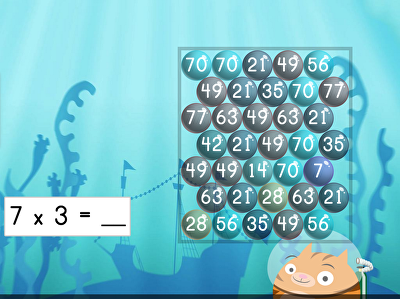 What's 12 times 12? 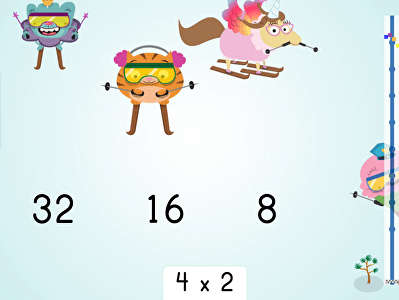 Help your child become a fluent mathematician with this engaging ski racer multiplication game. 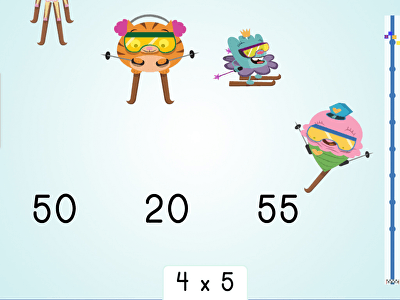 Out with the Flashcards, In with the Fun! 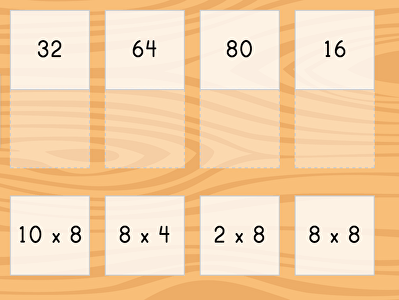 Multiplication is one of the core building blocks of elementary school math, and a skill that will prove useful—even essential—throughout life. 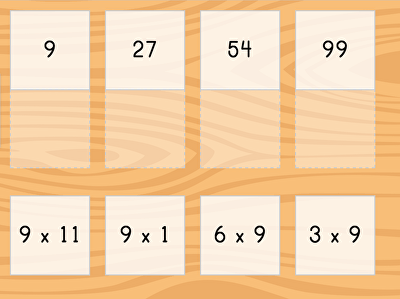 That’s why it’s important to not only learn multiplication, but to learn to love it! 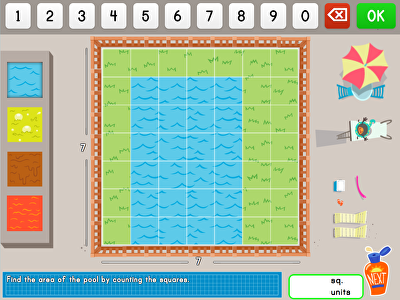 Our diverse collection of engaging, interactive games will have your child making friends with their fact families, and ultimately mastering everything from the multiplication basics to multiplying decimals and double-digit arrays. 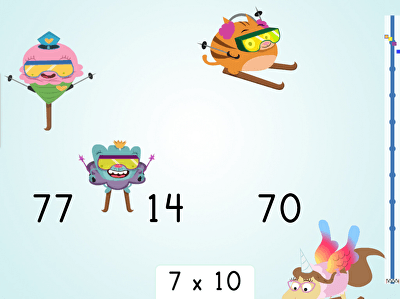 Whether it’s skip counting at the zoo, racing down ski slopes, playing multiplication matching games, or putting their problem-solving skills to the test building swimming pools, these games are the perfect supplement to your child’s classroom curriculum. By exposing students to multiple contexts and mediums in which they can put their knowledge into practice, your child will build confidence multiplying and manipulating numbers. Our mobile app even allows your child to fit in some fun practice time whenever and wherever is convenient on your tablet or mobile device. 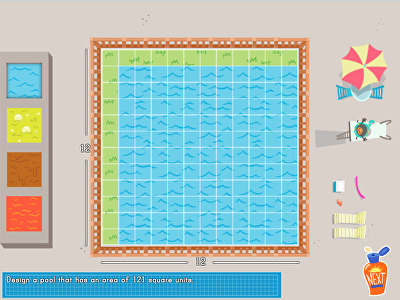 Start playing now for free with a basic membership!